How is a web application different from a website? While both need a browser and internet connection, a website is defined by its content, while a web application is defined by its interaction with the user. A website typically consists of a static content repository that’s displayed to all visitors, while a web application depends on interaction and requires user input for data processing. Website content can and does change, of course. And it can even be programmed to include variable content, like a stock market ticker for example. But for the most part it displays information that is stored in its pages. 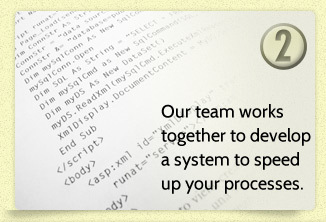 A web app on the other hand, needs input from the user in order to perform its function – data processing. CNN.com and VisualIntegrators.com would be websites. They are meant to be informational, showing the same information to all visitors. A collaborative calendar, like Google Calendar for example, is a web application. Users can do things like share their schedule, invite others to meetings and track RSVPs, too. All of this requires input from the user. Naturally, most websites with quickly changing content will also rely on a sophisticated backend, but at least in principle they’re only defined by their output. The web application on the other hand is essentially a program that runs remotely, and it depends fundamentally on a processing and data storage backend. There are lots of advantages to web apps. They can be accessed from the office, at home, on the road and from remote locations. All that is needed is a browser application and an internet connection. Many web apps can be synched with your desktop applications, too. For example, you can access your Google Calendar however and whenever you want by syncing events with other applications such as Microsoft Outlook, Apple iCal and Mozilla Sunbird. You can keep track of RSVPs from those on the road at your desk back in the office. Web based applications have come a long way and now offer many competitive advantages to traditional software based systems allowing businesses to consolidate and streamline their systems and processes and reduce costs. Whether you’re thinking about streamlining your business processes with dynamic web pages or web applications that can save/retrieve/update information from/to a database, Visual Integrators can help. 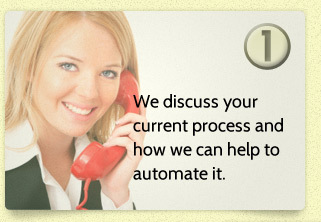 Call today to find how a web based application could work for you!